Manny Machado is back in the postseason spotlight for the wrong reasons. In the bottom of the 10th, the Dodger hit a grounder to shortstop for what should have been a routine out at first. 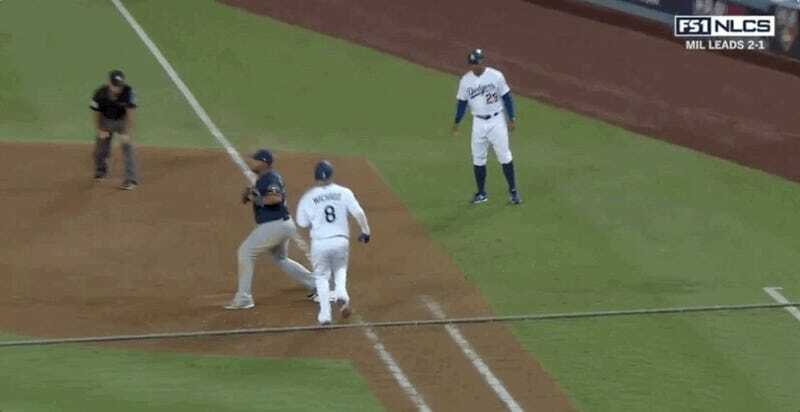 Machado decided to break the routine by kicking Brewers infielder Jesús Aguilar in the ankle after he was called out. The infielder was already entering Game 4 of this series in hot water. After Machado hit Milwaukee’s Orlando Arcia on two controversial slides the game before, Ken Rosenthal of The Athletic published an interview with the Dodger where he said, “I’m not the type of player that’s going to be ‘Johnny Hustle,’” prompting outrage from baseball’s old and cranky community. 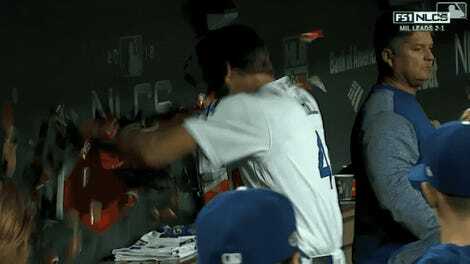 While I’m usually the first person to support enraging that particular fanbase, Machado’s choice to keep up these antics during a contract year makes it difficult to support him. You can’t be messing up your money this late into the season.